After much excitement and hype from the recent blog we posted about our blinged out Samsung Galaxy Gear watch, we decided to take on another exciting project! We took the Martian Victory Watch and enhanced it by adding 44 brilliant diamonds around the face of the watch, giving it a classy, sophisticated look. For the more casual of lifestyles, try adding some gemstones (sapphires and rubies are our favorites) to make the Martian pop! 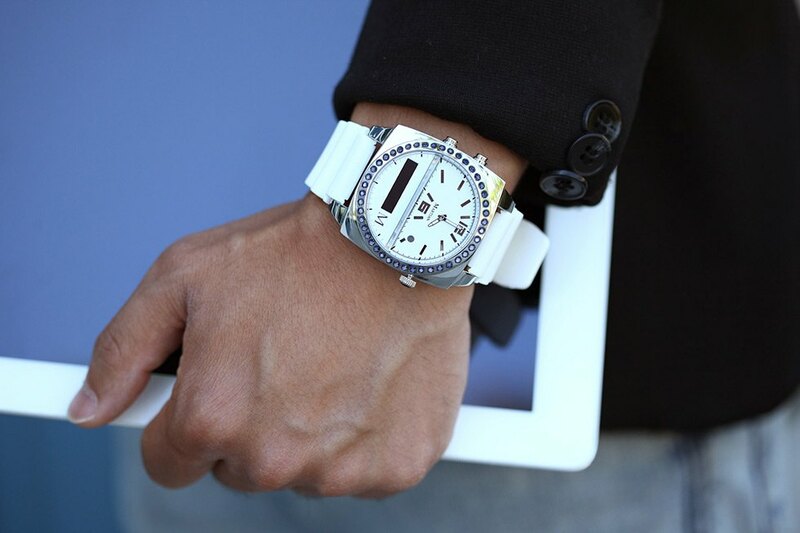 Of course, our bedazzled watches feature some cutting edge technology – think answering phones, Star Trek style. The team at Brilliance had a particularly good time icing these watches because they look classy and old-school, but feature technology that’ll excited any wearable tech fan. 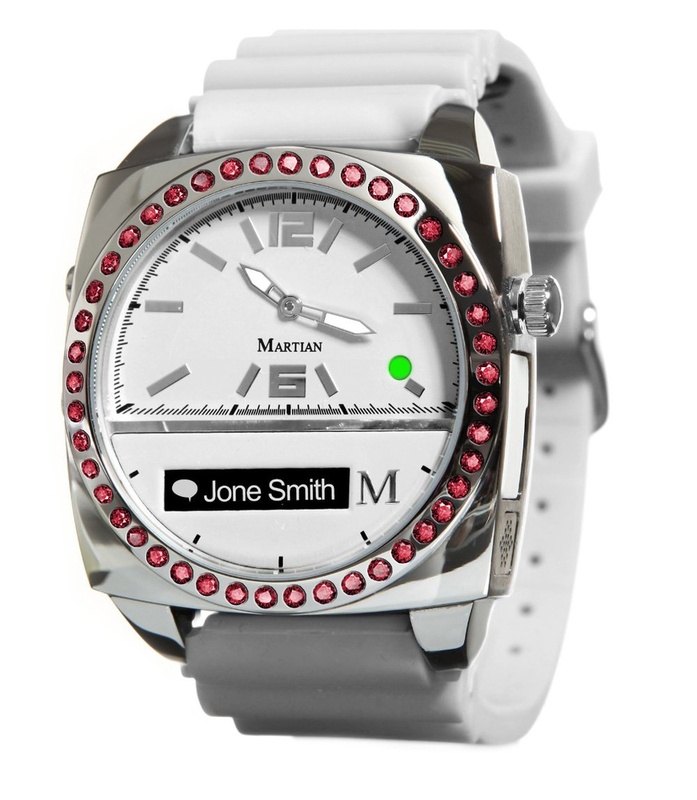 Interested in having your Martian watch a la Brilliance? Phone us! Contact our diamond and Jewelry experts at 866.737.0754 and they’ll set you up.